SteriMax honored as the D.W Bole Award winner in the McKesson Annual Distinction 2015 Awards - SteriMax Inc. 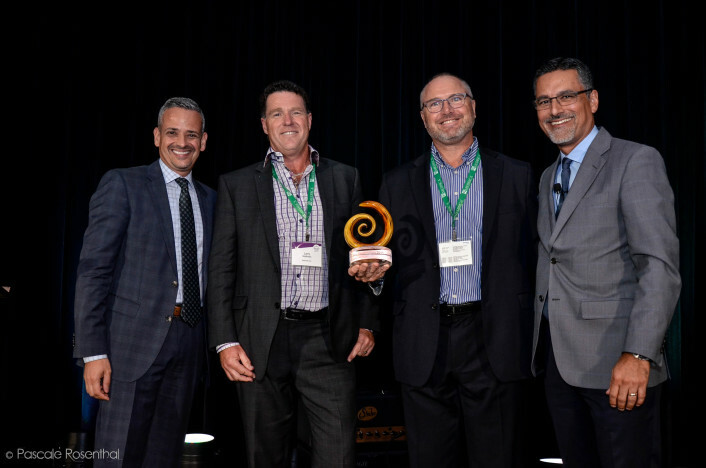 Winners honored at the McKesson Award Ceremony in Montreal on September 9th, 2015. McKesson Canada’s annual Distinction event recognizes manufacturer excellence as well as exceptional collaboration – continuously working together towards improving the health of Canadians. This year, SteriMax was awarded the prestigious D.W. Bole Award, one of the six Distinction Awards presented to a manufacturer demonstrating excellence in their category. McKesson is a fortune 500 company and is the number one pharmaceutical distributor in the world. The company is dedicated to delivering vital medicines, supplies and information technologies that enable the health care industry to provide patients better, safer care. The D.W Bole Award has four evaluation measurements: Growth (for every 1% sales growth or for each million additional sales), Service (maintaining supply and availability during the year) Supply Chain Collaboration (maximizing inventory turnover) and Business Policy (payment terms, logistics, shipping and return policy). “It’s an honor to be named a winner by McKesson Distinction 2015 Awards. This award is a testament to SteriMax’s commitment to continuity of supply, transparency and problem solving when issues arise” said Greg Ellis, President and Chief Operating Officer of SteriMax.